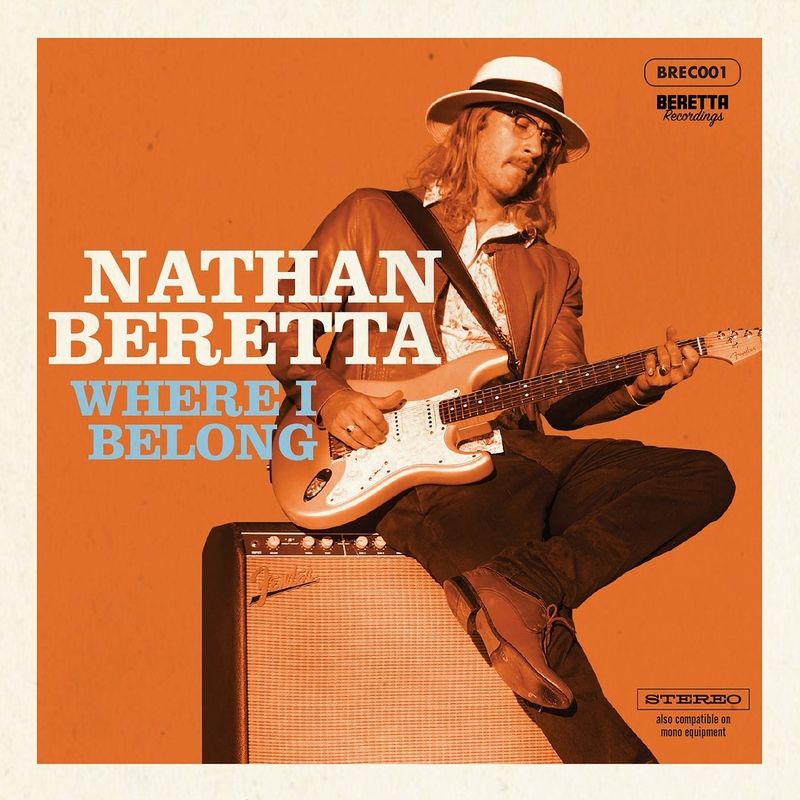 Nathan Beretta is a man whose blues guitar stylings are some of best around Melbourne town, and even though at times he sounds a little too Stevie Ray Vaughan-ish it's more a case of wearing his influences unashamedly on his sleeve rather than trying to clone a particular sound. One of the founding members of the award winning Blues Eyes Cry Nathan has struck out on his own and released the aptly titled Where I Belong. This album is simply infectious! It boogies, shuffles and grooves in all the right ways and in all the right places. Unsurprisingly the guitar playing on this release is a big focus is front and centre in the mix, but what is perhaps surprising is the quality of the Vocals. While it's unlikely you will see Nathan on any TV singing competitions in the near future, he has a distinct singing voice which he uses to great effect on this album. While I have thoroughly enjoyed the 2 releases by Blues Eyes Cry to date with the smoking Vocals of Isuela, who would probably be in with more than a fighting chance of winning any singing competition she was to enter, if this is what we can expect from Nathan Beretta solo releases I look forward to hearing the next one.